It is possible to show someone the basics of WordPress in just a few minutes. Most blogging platforms are just as easy as learn. Due to this, anyone who can use the internet can technically write a blog post; however, as we all know, all content is not created equal. The vast majority of content online is poorly written. Most articles are rushed, have not been researched thoroughly, do not convey a message, and do not cite sources. A large percentage of articles have also been spun specifically for search engines; which means the quality of the article was never even a consideration. There is a myth that I encounter frequently that you are either a good writer or a bad writer. I do not believe this to be true. I am living proof that someone can vastly improve the quality of their writing if they work hard at it. Throughout school, I excelled in numeracy based subjects. This continued into University, where the thought of writing a ten thousand word dissertation continued to scare me to death. My writing skills only started to improve when I began to blog every day. This got me into the habit of writing and, perhaps more importantly, reviewing my writing more. To this day, I continue to review my writing and improve upon what I consider to be my weaknesses. In this article, I would like to share my experience and give you advice on how you can all improve your writing skills. I hope you find them useful. Writing is no different to any other skill in that you need to gain a lot of experience before you reach a certain level of competency. As the old saying goes: Practice Makes Perfect. You should try and get into the habit of writing most days. I do not believe that your writing will improve much by writing one or two short five hundred word blog posts a week. You need to write frequently and reach a point where writing becomes second nature. Your writing will come on leaps and bounds if you write on a regular basis. If English is your native language, you should be able to speak English and read English comfortably. This is perhaps why many people do not take the time to learn grammar rules. It is not like you need to know the difference between a preposition and a conjunction to watch a film or read a newspaper. Writing English is a different story. 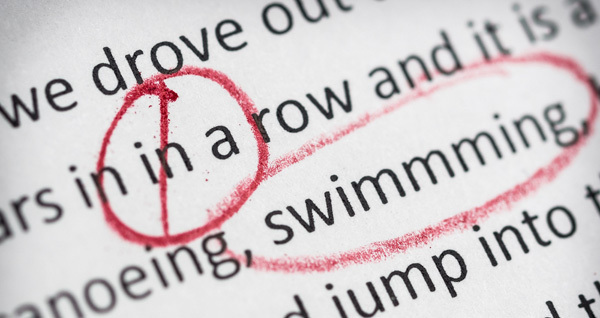 If grammar rules are not followed, an article can be very difficult to understand and follow. Grammar provides the building blocks of language, therefore a missing comma or a misplaced period will change the flow of an article. Those of you who have considered freelance writing for others should know that most website owners place a lot of emphasis on basic grammar rules being followed. As a blog owner, I have personally rejected hundreds of articles because they were littered with basic spelling and grammatical mistakes. Thankfully, it does not take long to get a good grasp of English grammar rules. I recommend reading a guide such as TalkEnglish’s Basics of English Grammar or GrammarBook’s GrammarBook English Rules. I also recommend purchasing a reference book on grammar that you can refer to at any time. For example, I have a copy of Oxford A-Z of Grammar and Punctuation next to my computer that I refer to almost every week. Every single writer makes errors when writing; whether it be misspelling a word, omitting a comma, or forgetting to close a parenthesis bracket. Whilst the odd mistake does sometimes slip through into a published article, there is no excuse for not proofreading your writing. An article that is full of errors is evidence of an article that was rushed and not proofread. You should therefore consider the first draft of every article just that: A First Draft. Always read over the article thoroughly and correct any mistakes that you made. Proofread the article again, and if you find any more errors, correct them and proofread again. This process may seem repetitive and boring, however it will ensure that the quality of your content remains high. Take the time to read what you have written in order to ensure quality remains high. Do not fall into the trap of believing that longer articles are always better. There is no point saying something in one thousand words if it can be said in one hundred. When you want to say something meaningful, be concise and get straight to the point. Seth Godin is a blogger who epitomizes this; which is why his books and blog posts are quoted so frequently. Be conscious of this concept during the proofreading stage and remove any parts that could be considered filler. This will tighten your article and make it easier to read. Evaluating your articles is a great way of looking at areas in which you can improve. Ideally, you can arrange for a friend or associate to review your articles and give you an honest opinion on what could be improved. A blogging or writing forum is a good place to meet a blogger who can do this for you. Alternatively, you can evaluate your articles yourself. I will be the first to admit that it can be difficult to read your own writing objectively and give an honest critique. This is particularly true when you are reading an article you have just completed, as the memory of writing the article is still fresh in your mind. If you review an article that you had wrote a few weeks or months in the past, you should be able to see it in a different light. This will help you address parts of your writing that may be weak and could be improved upon. You may also notice problems during the writing stage. For example, I sometimes struggle to write the introduction of an article. It is not uncommon for me to spend as much time writing the first two hundred words than I do writing the next eight hundred. I have therefore been reading about this issue online in the hope that I can remove this problem and increase my productivity. It should be no surprise to you that most passionate writers are also passionate readers. You can learn a lot about your craft by reading regularly. Pay attention to what other writers do, how they do it, and why they do it. I recommend reading books on subjects that are close to your heart. You should also subscribe to blogs of authors and bloggers you enjoy. This will help you learn new writing styles and new words. Reading will increase your knowledge of a subject and expose you to many writing styles. When you are writing frequently, it becomes important to establish good writing habits. This will help you improve your writing and become more productive. Research, Research, Research – Every topic you cover should be researched thoroughly. This will improve the quality of your content and ensure that the arguments you put forward are strong. Both of which will raise your profile as a blogger. Take Notes – Taking notes is an essential part of blogging. Get into the habit of taking notes every day through your phone, tablet or computer, so that good ideas are never lost. I also recommend carrying a notepad and pen with you at all times. This ensures that you can take notes if you lose power. Bookmark Useful Writing Tools – Bookmark any tools and services that you use regularly to aid writing. This will save you a lot of time during the writing process. Cite Sources – Your credibility will be higher, and your points will carry more weight, if you cite the sources that helped shape your view. 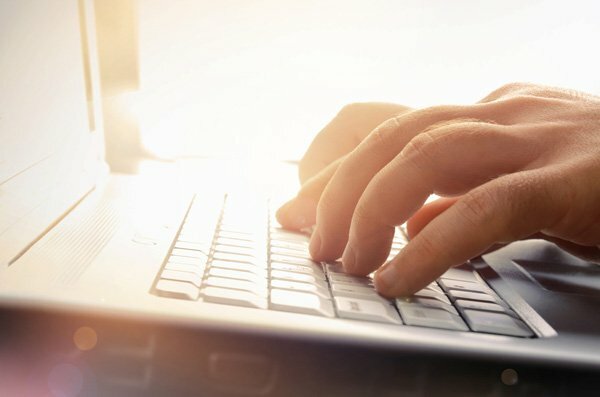 Doing this also avoids many plagiarism issues and could also connect you with the people you cited. I hope you have enjoyed this article. If so, I encourage you to subscribe to Elegant Themes via Facebook, Google+, Twitter or RSS. Kevin is our resident tutorial master. He has years of experience with WordPress, and is a professional blogger with a special interest in social media, internet marketing and web design. Nice article! Thank you for posting! Thanks from a newbie blogger!!! Rule No. 1: Always spell-check your post. Love ya! I’m not sure if Nick corrected this. I can’t see anything – though it is sometimes difficult to see your own mistakes. Rule No 2: Always proof read until perfect. Love this piece, thanks Kelvin. We have two blogs on our site (one general and one specifically devoted to typography). My advice is to write and edit. Proofread and edit again. If you can get your message across successfully in one terse sentence — great. Short posts work. Can you expand on what you mean when you say short posts work? Thanks for this advice. My posts always have spelling mistakes, even after proof reading it for 3 times. This is really embarrassing. I am from Austria and fluent in speaking english. But writing is a different story. Any advice on a good and affordable service? I have several friends who are either writers or English major types (One is a high school English teacher). I usually ask them to proof read my content before I put into a website. I am amazed at how many little nit-picky errors they find, but each one they uncover makes me a better writer. I recommend finding friends who blog and offering to review their work if they review yours. You could use a spellchecker, but that might not highlight some grammatical problems with the piece. *Simplify* – eg. epitomizes … I would simplify that. I’m not saying that you have to dumb down your article, but if it’s a blog such as this then conversational = good. *Conversational* – eg “I do not believe that your writing will improve much by writing”… I would simplify that too, as it’s not something I would say in a conversation with a friend, family member or colleague. Articles like this should just be taken on board, though they should be considered as a guide that helps you find your own style and rhythm. I can read articles from authors with completely different styles and enjoy reading both. As you say, nothing is perfect, and the important thing is always to convey your message clearly to the reader. Great article but I’m srtugglign wiht spellign mots of the time. And I kid you not – to find a normal copywriter is huge challenge. That’s impressive. What is your native language? And now I will link to this article at my media website! THANKS! It just struck me. Writers get stuck frequently when they have no idea for an opening. I found that if I write most of the article, then read back through it, I can later figure out a catchy title and first paragraph that peaks interest as well as providing an overview for what is about to unfold. And most importantly, I say enjoy the process! I think it’s important not to overthink things. I (almost) always have a notebook with me. Sometimes I will see something has nothing to do with my website topic, but will spur something to get me scribbling away. If I didn’t do that, I wouldn’t have half the content I’ve been able to post. I carry a small notebook and pen with me at all times when I’m travelling as I always get ideas at the strangest of times. I learned quickly that if I don’t get a good idea written down somewhere, it will probably be gone forever. Great post and advice, Kevin! This blog is getting better and better: thanks for all the useful information, guys! Thanks for nice tips. I was missing some but I will use it in future. Nicely written article. I see that you broke your content up into short paragraphs, and had multiple headings for people that wanted to skim. Lot’s of bloggers use huge 10-12 sentence paragraphs which makes the content harder to digest. I often think that many people forget to remove the filler in their articles.. I mean yes, long posts are nice sometimes, but with posts that take 20-30 minutes to read, it begins to feel like a chore because of al the excess content… Nice article. Much appreciated info! I am guilty of that sometimes myself. I think you are right that some longer articles could have been written with half as many words. It’s not something I ever seem to do with tutorials as I write out everything like a step by step guide. What writing do you feel I should have with it? I generally put enough to tell what the “Lesson” is but then let the video do the talking. My MAIN website is an Elegant Themes site: this other is not, but the points from you should work either way. Thanks for sharing your article here. I have seen video bloggers handle this in different ways. Some write a full article that covers all the topics covered in the video. Others do what you do and just write an introduction. It is also popular to just publish the video with nothing more than the video title in the header. From a search engine point of view, you would think that it is generally better to write a few hundred words; however Google does rank videos alongside regular results too. Therefore, I am not sure if there is a right or wrong way to do it. If I was doing, I’d probably write an introduction before publishing my video. Agreed. Wrote is the perfect past tense. So from what I know, I should not have used “had” before the verb. My problem, and I guess a lot of people have this problem, is that when I adopt a conversational tone in my writing, errors like this can slip in. When I read the sentence back, it still makes sense in my head; however I realise that it is not supposed the way you write that sentence. This could be a topic all of its own. Sometimes the grammatically incorrect way actually sounds better than the correct way. A good example would be “Every day I make a hour long drive to work”. I believe that is correct because ‘a’ is referring to ‘drive’. But it would sound better if it was “an hour long drive to work”. I might even be wrong but there are other examples when grammatically correct make you sound more like a robot than a human. I think in those cases you should decide on a style based on your audience. Yeah “a drive” just doesn’t sound right. You need to find the right balance between getting your message across and not sounding like a reference book. For the sake of people whose main source of learning English is blogs etc. it might be good to stick to grammatically correct English. Then again it all depends on your target audience. Excellent article with many informative tips. My writing is average at best so these are very helpful. I agree with proofreading articles over and over again :). I think it is so very important what you said. If a person is into writing for people the content has to be grammatically correct. I appreciate your views. I’ve been struggling to nail a blogging process that makes blogging what I originally intended it to be – fun! I’ll be running with tips from this post for sure. I have started writing recently. Its very enjoyable thing. I have been writing about memories of mine. English is not my native language, so I struggle to write it in the way I feel it. I would like to know if you have any suggestion regarding how to convey our feelings from writing. Thanks and regards. Please visit my Blog and just have a look at it and tell me what do you think. I am not sure what to advise you. I can understand the difficulties of explaining yourself in another language. It is harder when you don’t know the words that you need to explain yourself. Enjoyed reading the basics of Blog Writing Kevin. I am about to start my career as a blogger so for me this is of great help 🙂 I believe expressing your own vision on an aspect and eventually expressing it in Simple but Clear Words makes it to an effective Blog. My blog has been up since 4 months. My writing has been haphazard and generally when i really felt the need to pour my feelings down. I would like to improve viewership in my blog. Sharing the URL clearly doesnt help…. Any suggestions u may have? Thanks for your value sharing. I’m not native English so I encountered many difficulties when I start writing blog. But I will do my best to archive my goals because writing blog is my favorite. Would you like share me some resources(websites or forums) where I can find the friends who will help me to improve writing skill and correct my mistakes? Really great article! I myself am guilty of not making the time to blog regularly. It seems I am always trying to catch up on work, and quite frankly it never lets up. With that said, I finally took the time to actually read this article and I’m going to make it routine to put the time aside to read and write if not daily – weekly to start off. Hoping that by making it part of my routine it will get easier. Thanks for sharing! Thanks for posting this. I definitely need to go back to basics on my blog. Trying to branch into things outside my passion is drying up my fountain of inspiration. Some great advice here. I tend to write late at night and it’s tempting to just push the publish button there and then. I’ve found it better to save as a draft and read through again the next day before publishing. one of my weaknesses is writing. would like to change that so i started my own blog. your tips here gave me a lot of ideas on what to do. 🙂 thumbs up to you. This is really awesome and very helpful for me.Thank you so much for sharing such a great blog. I find writing is something that comes naturally. when you’re on a tight deadline, for me, the words just can’t come out. Even if they can, the result is rarely good. But when you’re in a good mood, writing a post that can usually take an hour or two, can be done in just minutes! Words just come out and you can type as fast as your hands allow you. I am about to start my career as a blogger so for me this is of great help, I believe expressing your own vision on an aspect and eventually expressing it in Simple but Clear Words makes it to an effective Blog. Just Started My new blog and surfing about how to write my blog posts.Reading your post i found that it’s not an easy task to do..may be i’ll do more research first and come back to gear.thanks for sharing this life turning tips to me.